It was the fall of 1970 and 18-year old Jimmy Mills found himself in Vietnam as a member of the Army’s 173d Airborne Brigade. Mr. Mills hailed from the small rural North Carolina town of Shallotte. Mr. Mills observed, “Like hundreds, probably thousands, of 18 and 19 year old soldiers in Vietnam, I began using drugs to help deal with the war, to help with the feelings of being away from home, and to help get me through all that was going on around me." Mr. Mills was caught with less than an ounce of heroin in May 1971–a substance he and many others used to numb the effects of the Vietnam experience. Because of his “misconduct” Mr. Mills’ commanding officer recommended that he be given an Undesirable Discharge. Accordingly, Mr. Mills requested a discharge for the good of the service on July 9, 1971 in lieu of court martial. And on July 24, 1971 he was discharged for the good of the service under other than honorable conditions. In connection with his separation, the medical corps examined Mr. Mills. The separation exam noted Mr. Mills’ depression and excessive worry, frequent trouble sleeping, frequent headaches, and a notation that he could not learn well. The examining physician rendered a diagnosis of mild situational depression at the time of discharge. Also, tension headaches and sharp chest pains were also noted at separation. Almost 30 years later, Mr. Mills sought help from the VA. 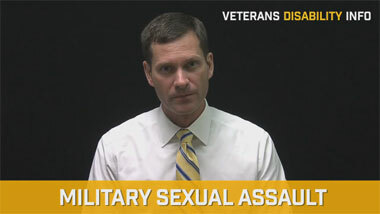 He filed a claim for service connection for Post Traumatic Stress Disorder (“PTSD”) in February 2000. The VA denied the claim. Not just once, but over and over again for 15 years. 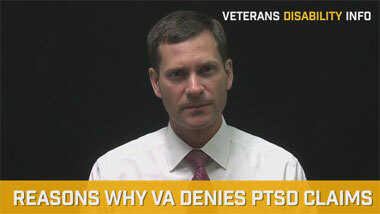 The VA always said the same thing to support its denial. 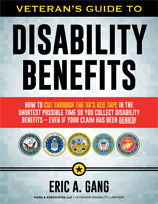 The other-than-honorable discharge was a bar to receiving VA benefits. And it’s true as a general rule. But this was no solace for Mr. Mills who believed strongly that his PTSD began during service. He contended that the use of drugs was merely a self-medicating endeavor to numb the effects of the emerging PTSD. Mr. Mills’ experience with Vietnam, PTSD, and the VA is not unique. In fact, his case is indicative of approximately 250,000 Vietnam era veterans who received other-than-honorable discharges, barring them from receiving VA benefits. The Defense Department released new guidelines last fall to address discharge upgrade applications in situations where there were signs and symptoms of PTSD during service or at the time of discharge. But what’s a veteran to do if he can’t get his discharge upgraded? Fortunately, there is an exception that veterans with OTH discharges can use. Veterans disability lawyers refer to this exception as the “insanity exception.” This does not mean that a veteran has to be a stark raving lunatic. It simply means that he must have suffered from a mental disease at the time he committed the offenses that led to his other-than-honorable discharge. If such a mental illness existed–such as PTSD or depression–then a veteran can obtain his VA benefits even if he did not have an honorable discharge. By the time Mr. Mills retained our veterans disability law firm he had already been denied for the better part of a decade. We successfully appealed his case to the U.S. Court of Appeals for Veterans Claims, getting the matter remanded back to the Board of Veterans Appeals. On remand, we sent Mr. Mills from his home in North Carolina to see two top specialists in Ohio that treat veterans with PTSD. Our experts established the onset of Mr. Mills’ mental illness at the time of service. These evaluators observed that the service treatment records showed symptoms indicative of mental illness. They noted that the 1968 DSM-II referred to trauma-related disorders as “situational disorders” and they noted that Mr. Mills was, indeed, diagnosed with a “situational disorder” at the time of service. In other words, the private experts determined that the service treatment records supported the conclusion that Mr. Mills actually manifested the early symptoms of PTSD during service. In fact, one of the experts went so far as to opine that at the time of discharge Mr. Mills’ diagnosis was the equivalent of PTSD as it is known today. It was also noted that the conduct that led to Mr. Mills’ other than honorable discharge was actually the symptoms of the mental illness. Hence, Mr. Mills should have received a medical discharge. The Board issued another decision in the case in May 2013, remanding the claim back to the regional office. It took another 15 months for the regional office to complete the Board’s directive and return the case to the Board for another decision. Finally, the Board issued another decision in August 2014. The Board determined that Mr. Mills was “insane” at the time he committed the offenses that led to his OTH discharge. However, the Board remanded the claim to the regional office to determine the underlying service-connection issue. It took another 10 months for the regional office to make a decision. In the interim, we were forced to file a writ of mandamus at the U.S. Court of Appeals in an effort to cause VA to take action on the remanded claim. But finally, after 15 long years of appeals, VA granted service-connection and rated him at 100 percent for PTSD. As a result, he received in excess of $300,000 in retroactive pay. Mr. Mills’ case is an example of effective advocacy in cases involving veterans with other-than-honorable discharges. His case illustrates the fact that there is hope for veterans suffering from psychiatric illness who have been denied VA benefits due to the character of their discharge. 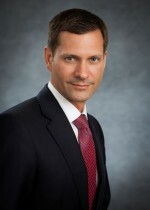 *Mr. Mills consented to the use of his real name and disclosure of the details of his case.